Open Walls Baltimore is an unparalleled street art project managed by and located in the Station North Arts & Entertainment District. The finest and most widely recognized street artists from around the world are mounting an outdoor exhibition of extraordinary murals that enlivens public spaces, stimulates community revitalization and national dialogue, and attracts visitors and investors to Station North. Open Walls Baltimore will build through April and May with the installation of more than twenty additional murals in time for a Final Friday celebration on May 25th. 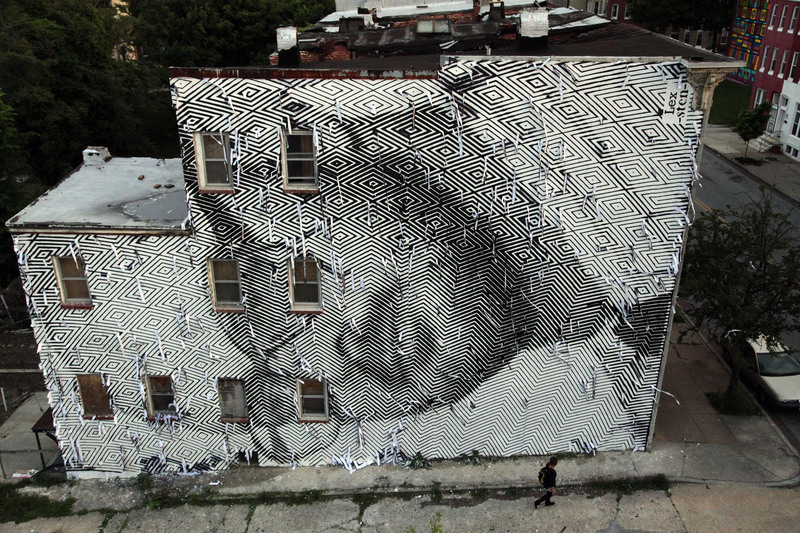 Open Walls Baltimore is curated by Gaia and managed by Station North Arts & Entertainment, Inc. This entry was posted on 29 May 2012 by osteno. It was filed under EN PLEIN AIR .